Does consciousness inevitably arise in any sufficiently complex brain? Although widely accepted, this view — inherited from Darwin’s theory of evolution — is supported by surprisingly little evidence. 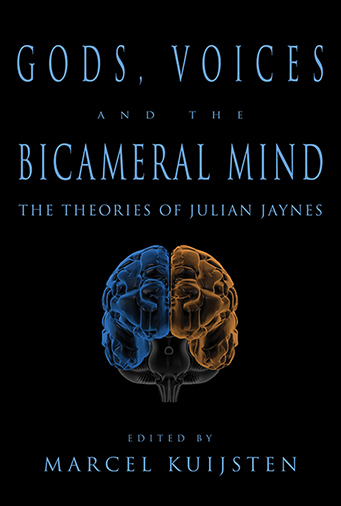 Offering an alternate view of the history of the human mind, Julian Jaynes’s ideas challenge our preconceptions of not only the origin of the modern mind, but the origin of gods and religion, the nature of mental illness, and the future potential of consciousness. The tremendous explanatory power of Jaynes’s ideas force us to reevaluate much of what we thought we knew about human history. Gods, Voices, and the Bicameral Mind both explains Julian Jaynes’s theory and explores a wide range of related topics such as the ancient Dark Age, the nature of dreams and the birth of Greek tragedy, poetic inspiration, the significance of hearing voices in both the ancient and modern world, the development of consciousness in children, vestiges of bicameralism and the transition to consciousness in early Tibet, the relationship of consciousness and metaphorical language, and how Jaynes’s ideas compare to those of other thinkers. A must read for anyone interested in Julian Jaynes’s theory!